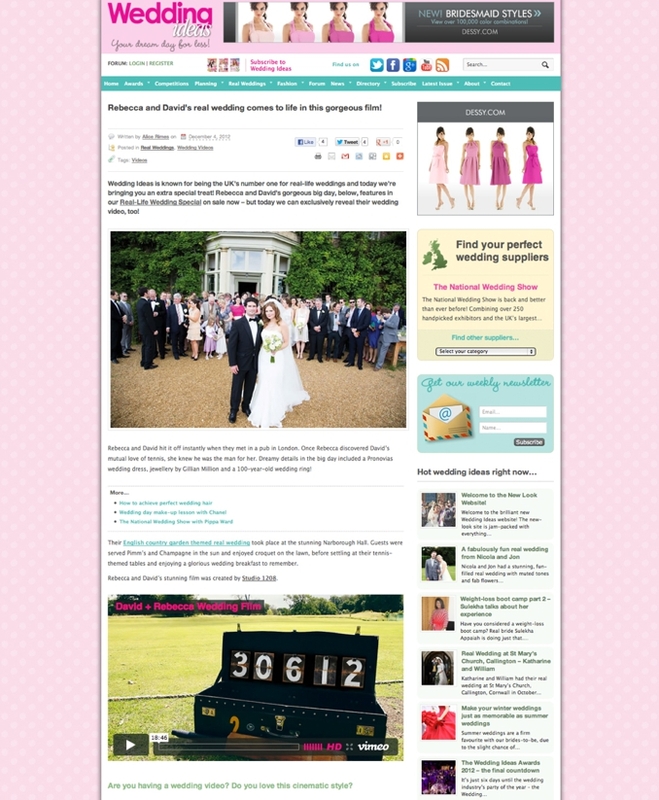 Today we are thrilled to say that we are featured on Wedding Ideas Magazine's blog for David and Rebecca's gorgeous wedding. If you didn't catch their wedding film trailer and full film before, please check them out below! Their film trailer is one of the most epic we have ever done!